It’s that time of year. Summer sun, beaches, and babes. The only catch? If you hang in the sun too long, you’ll come away looking wizened. Don’t say my mom and I didn’t warn you. No one past the age of 26 should lounge in the sun for very long. Trust us. We know. An organic moisturizing process that will definitely get your skin nourished. It’s a new feeling, this oily thick Carrot cleanser and uber rich Double Rose Ultra Face Cream, but for post-summer leather skin, you’ll need it. All natural and organic, not tested on animals, and no nasty parabens, it smells great, looks great, and is perfect for that dry summer skin of yours. Plus, it won’t make you break out. Just make sure you don’t overdo it. When we say this stuff is rich, we mean rich. It takes getting used to the almost petroleum-like consistency of the Carrot Cleanser, but it’s strangely fun to use once you do. 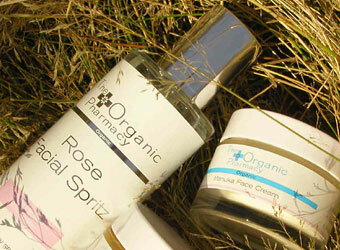 The Virgin Cold Pressed Rose Hip Seed Serum, an amazing anti-ageing and repairing treatment oil. It’s said to repair and reverse sun damage, premature ageing, and wrinkles while re-hydrating your tired brow. The Virgin Cold Pressed Rose Hip Seed Serum is great for hair, as well as the Hair Serum. Just remember, these cleansers don’t foam like those with Sodium Lauryl Sulphate so expect a different, thicker, more essential oil experience. Want a nugget of eco-goodness straight to your inbox? If you click here, you'll receive notifications of new posts via email.